Meet hatred with hatred and you degrade yourself. Meet hatred with hatred and you degrade yourself. 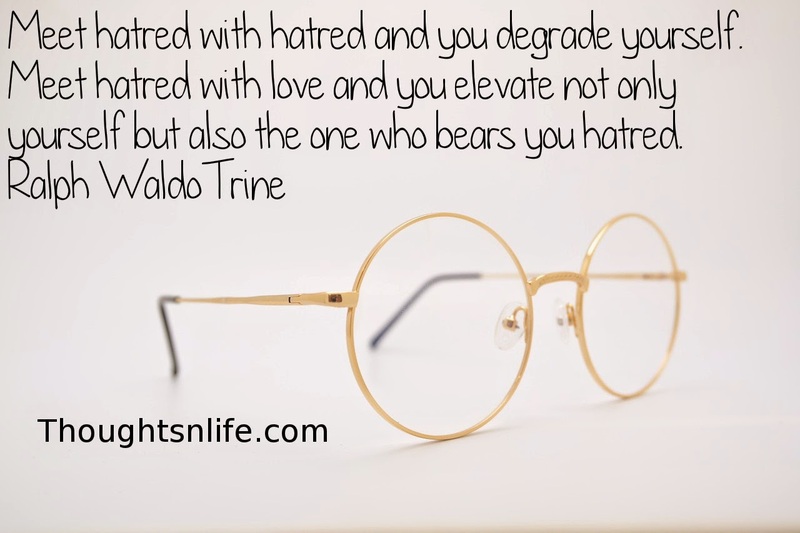 Meet hatred with love and you elevate not only yourself but also the one who bears you hatred.